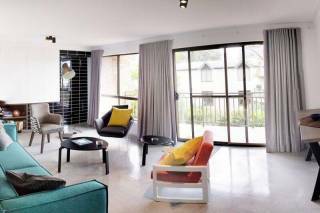 Superb ultra-modern 2 bedroom apartment in Sydney's popular Darlinghurst. This spacious, open plan apartment features timber floors throughout, plenty of storage space, a sleek top of the range galley kitchen and luxury bathroom with double basin premium finishes. 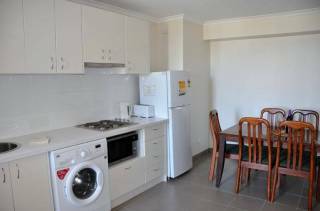 The apartment also has an internal laundry and secure parking space for 1 car. There are 2 queen sized bedrooms with built in robes. The living space flows onto a spacious balcony and benefits from plenty of natural light. 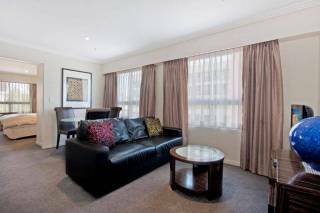 This unit is a perfect option for your stay in Sydney. The apartment located in a prestigious security building, surrounded by some of Sydney’s best cafes, restaurants and bars. 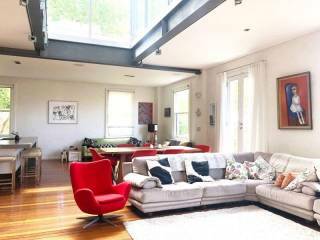 It is a short walk into the CBD and to many of Sydney’s most famous attractions. This apartment is also located a short walk to Saint Vincent’s hospital. With train and bus transport only meters away, you can explore the City with ease. Please note this is a residential building so there is a strict no party policy. Please be mindful of the neighbours and keep noise to a minimum after 9 pm. We are an agency, we don't meet you at the property, the keys are collected from our office which is centrally located in Darlinghurst. However, our friendly staff are just a phone call away! We are always happy to help you with any issues you may have. This property is self-contained and IS NOT a serviced apartment. We supply a small Welcome pack on arrival with hotel size bathroom essentials and tea & coffee. Whilst we use our best efforts to ensure that the information and descriptions inserted by ourselves on websites are accurate, no guarantee is provided by Prestige Property the said information and descriptions are free from errors or faults. Prestige Property does not accept any liability for any errors or omissions and reserves the right to change information published on our descriptions inserted on websites at any time. Prestige Property, does not accept liability for any indirect or consequential loss arising out of the use of or connected with websites or for any products or services purchased from websites.